OKLAHOMA CITY (AP) – Pam Henry, who was stricken with polio at the age of 14 months and went on to become the March of Dimes’ last national poster child and an Oklahoma City broadcaster, has died. Close friend and former broadcaster Don Sherry says in a statement that Henry died Tuesday following complications from emergency surgery. She was 68. Henry rose to national prominence in 1959 as the face of the nation’s effort to eradicate polio as the last poster child for the nonprofit fundraiser March of Dimes. 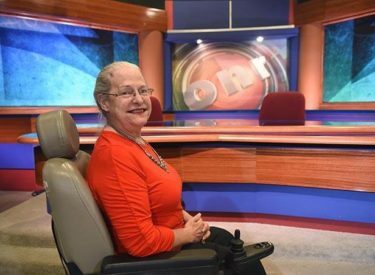 Henry became interested in journalism and went on to work for several Oklahoma City television stations before retiring in 2002 as manager of news and public affairs at the Oklahoma Educational Television Authority. Henry was inducted into the Oklahoma Journalism Hall of Fame in 2004. She also is featured in an exhibit at the Pioneer Woman Museum honoring Oklahoma women in the field of news reporting.